On the next to last day of September 2015, I was walking in Fort Tryon Park in Washington Heights from the Heather Garden. Just before I got to Sir William’s Dog Run, my eye caught a movement high up in the northern red oak tree. Warblers! Knowing it’s migration time for insect- and nectar-eating birds—i.e. warblers, flickers, kinglets, hummingbirds—I never leave home without my trusty, light-weight pocket binoculars. Let me tell you, it is challenging keeping your binoculared eyes on moving warblers. The balletic pattern of one of the warblers foraging in the oak tree made me think REDSTART! These tiny birds—black and red males, gray and yellow females—flash their tails and dive up and down, in and out, gleaning insects from the leaves. I had spotted a lovely female redstart fanning her bright yellow tail and flitting, butterfly-like, from leaf to leaf. There was another warbler with a different type of motion. Catching up to him with my eyes, I saw it was a male northern parula warbler: a gorgeous little fellow with olive shoulders and a back, gray head, a bright yellow belly turning orange up by his neck, and a black necklace. What a find! The next afternoon I met Kellye Rosenheim leading a tour for New York City Audubon. We met at the salt marsh of Inwood Hill Park. The park is located at the northernmost tip of Manhattan Island right next to the shipping canal that connects the Harlem River with the Hudson River at Spuyten Duyvil. So much to see there. The week before, birding with my friend Elizabeth White-Pultz, we saw a marsh wren and a pair of common yellowthroat warblers hanging out in the marsh grass, flowering goldenrod, and asters. Columbia University has their boathouse there with a new kayak dock that is used by the rowing crews and the public. Columbia has housed their boats up there since the late 1920s. Across the Harlem River you can see a giant blue and white C. In 1952, Robert Prendergrast, a Columbia medical student and coxswain of the rowing crew, painted the letter on the massive Fordham gneiss outcropping. From the marsh we walked up into the verdant hills of the park. 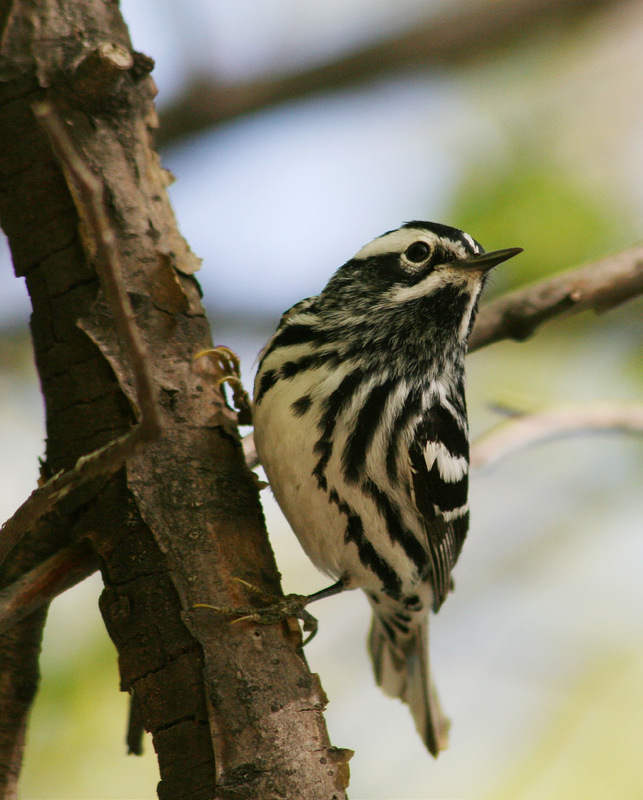 Entering the deeply forested paths, we found black-throated blue warblers, male and female redstarts, northern flickers, and a white-breasted nuthatch. Fall migration happens more slowly than spring migration, when literally hundreds of millions of birds take the aerial route known as the Atlantic flyway from their winter feeding grounds in South and Central America to their northern breeding grounds in the middle Atlantic states, New England, and Canada. Flying over New York City, they drop down in huge numbers into our parks to feed and rest. Sometimes they stay, nesting and raising their young until it is time to make their journey south in order to find food throughout the winter. And so it is that birds leave our area, not because it is too cold in winter—after all they are covered in a layer of down, just like our down coats that keep us warm and cozy in January, February, and March. 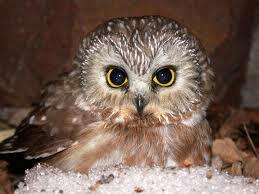 But birds cannot find the food they need in the winter: insects and other invertebrates, fish, amphibians, small mammals. In addition to watching migrating warblers and other song birds, during fall migration you can join groups looking at migrating hawks, eagles, and owls; egrets, herons and shorebirds. 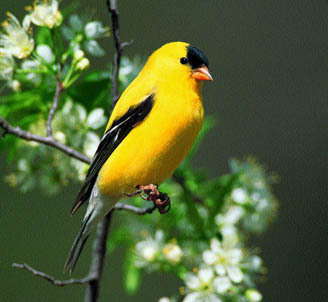 And from the far north come our wintering birds, which are able to survive the cold months in New York City. 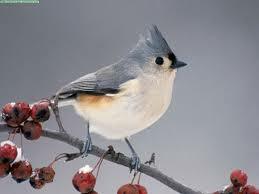 Small flocks of tufted titmice, white-breasted nuthatches, and black-capped chickadees descend on our wooded parks. And in autumn and winter we make way for ducks, geese, and swans! 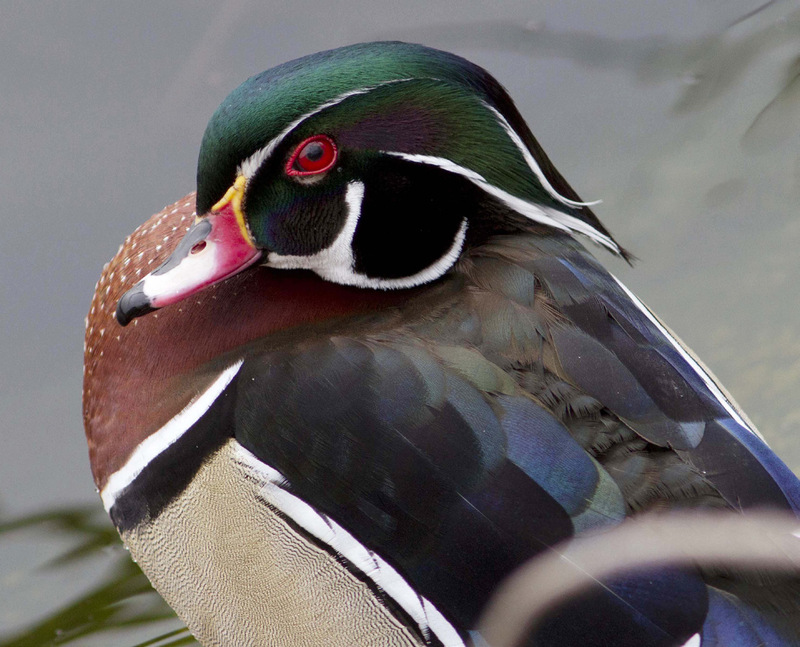 Wood ducks, northern shovelers, hooded mergansers, ruddy ducks, snow geese, brandt geese, and mute swans flock to our wetlands to find food when their summer territories freeze over. They are not alone. More and more, we are seeing bald eagles along our coast in winter. And of course we have our year-round birds who are able to find seed, nuts, and dried fruit even in winter: blue jays, house sparrows, crows, starlings, pigeons, cardinals, downy, hairy, and red-bellied woodpeckers, mallard ducks and Canada geese. And let us not forget our birds of prey that are here all year: red-tailed hawks, cooper hawks, sharp shinned hawks, peregrine falcons, American kestrels, great horned owls, saw-whet owls, and screech owls. 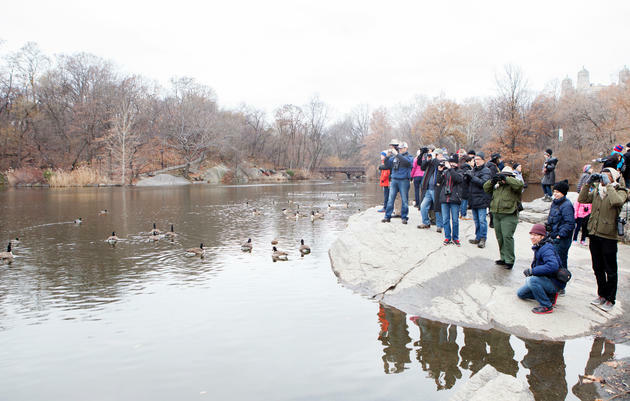 New York City, as it turns out, is a birding haven throughout the seasons. So take a walk with or without binoculars and you will start to see our lovely and interesting feathered neighbors. 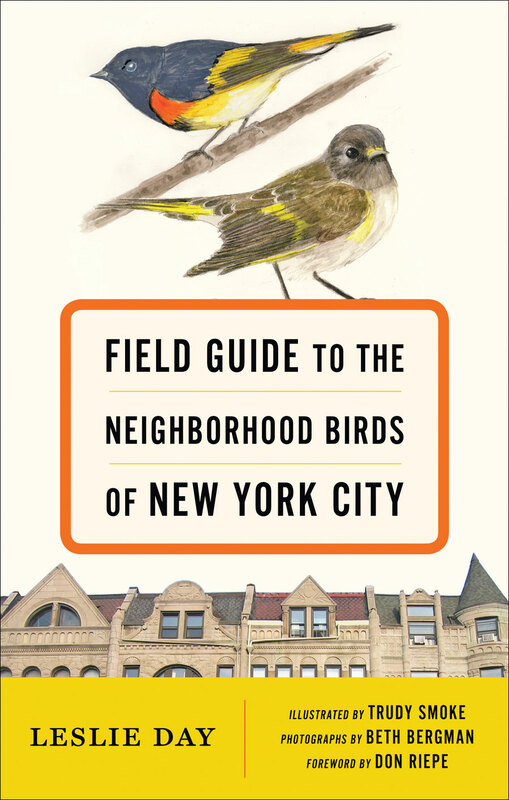 Leslie Day is a New York City naturalist and the author of Field Guide to the Neighborhood Birds of New York City, Field Guide to the Natural World of New York City, and Field Guide to the Street Trees of New York City, published by Johns Hopkins. Dr. Day taught environmental science and biology for more than twenty years. Today, she leads nature tours in New York City Parks for the New York Historical Society, the High Line Park, Fort Tryon Park Trust, Riverside Park Conservancy, and New York City Audubon. Trudy Smoke is a professor of linguistics and rhetoric at Hunter College, City University of New York and a nature illustrator. She is the illustrator of Field Guide to the Street Trees of New York City. Beth Bergman is a photographer for the Metropolitan Opera who moonlights as a nature photographer. Her photographs have appeared in numerous publications, including the New York Times, Newsweek, New York Magazine, Opera News, and Paris Match. 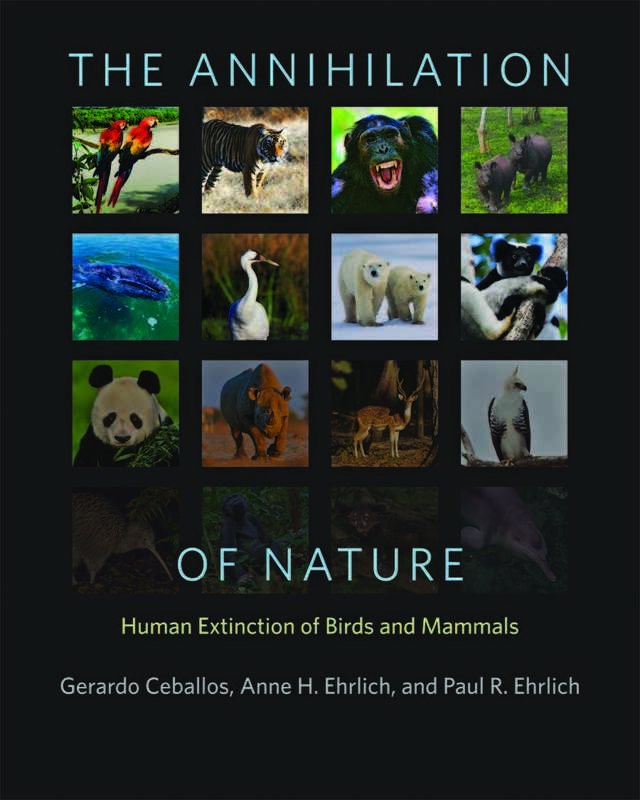 In The Annihilation of Nature, three of today’s most distinguished conservationists—Gerardo Ceballos, Anne H. Ehrlich, and Paul R. Ehrlich—tell the stories of the birds and mammals we have lost and those that are now on the road to extinction. These tragic tales, coupled with eighty-three color photographs from the world’s leading nature photographers, display the beauty and biodiversity that humans are squandering. This landmark biography—the only complete account of Alfred Wegener’s fascinating life and work—is the culmination of twenty years of intensive research. 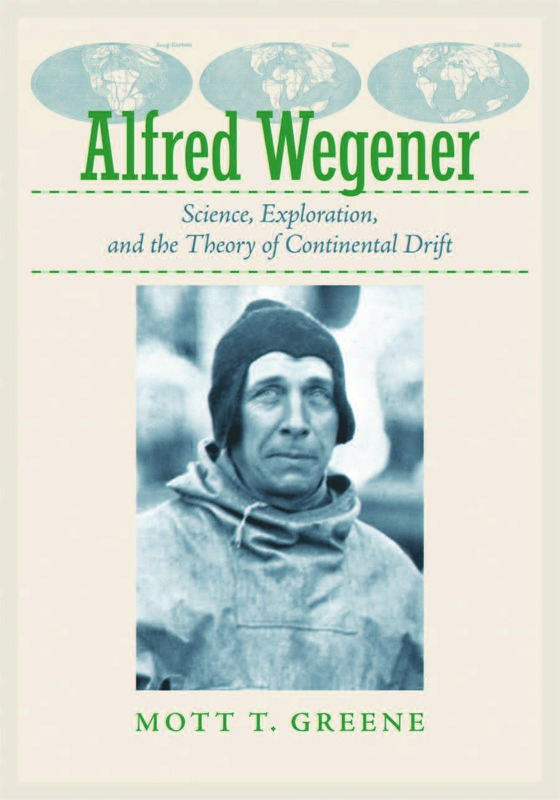 Written with great immediacy and descriptive power, Alfred Wegener is a powerful portrait of the scientist who pioneered the theory of continental drift and the modern notion of unified Earth science. When the paper industry moved into the South in the 1930s, it confronted a region in the midst of an economic and environmental crisis. Entrenched poverty, stunted labor markets, vast stretches of cutover lands, and severe soil erosion prevailed across the southern states. By the middle of the twentieth century, however, pine trees had become the region’s number one cash crop, and the South dominated national and international production of pulp and paper based on the intensive cultivation of timber. 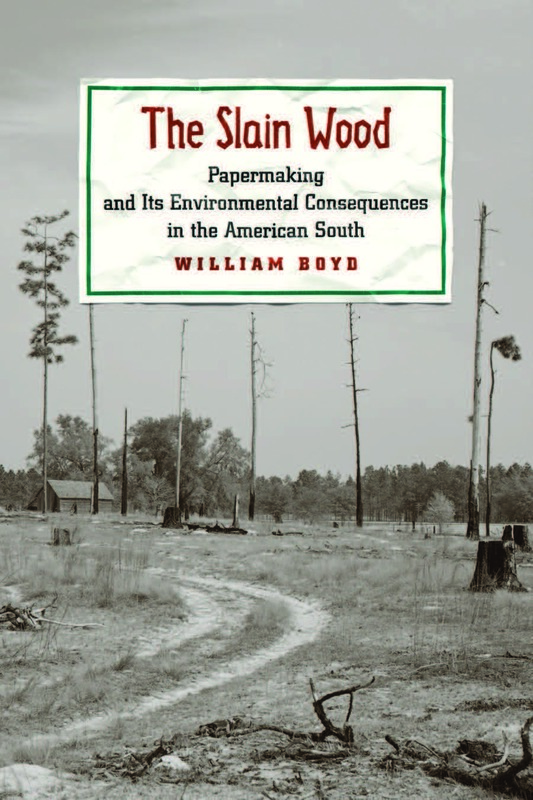 In The Slain Wood, William Boyd chronicles the dramatic growth of the pulp and paper industry in the American South during the twentieth century and the social and environmental changes that accompanied it. Leatherbacks have been declining in recent decades, and some predict they will be gone by the end of this century. Why? Because of two primary factors: human redevelopment of nesting beaches and commercial fishing. 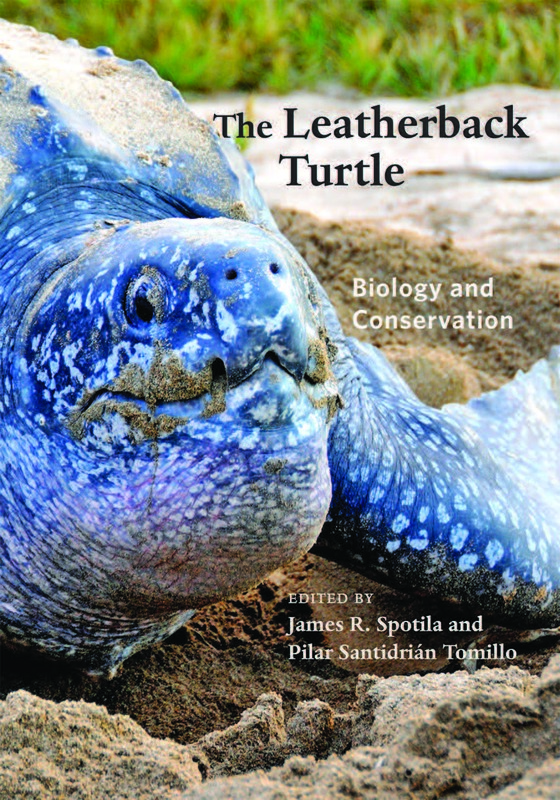 In the most comprehensive book ever written on leatherback sea turtles, James R. Spotila and Pilar Santidrián Tomillo bring together the world’s leading experts to produce a volume that reveals the biology of the leatherback while putting a spotlight on the conservation problems and solutions related to the species. The book leaves us with options: embark on the conservation strategy laid out within its pages and save one of nature’s most splendid creations, or watch yet another magnificent species disappear. 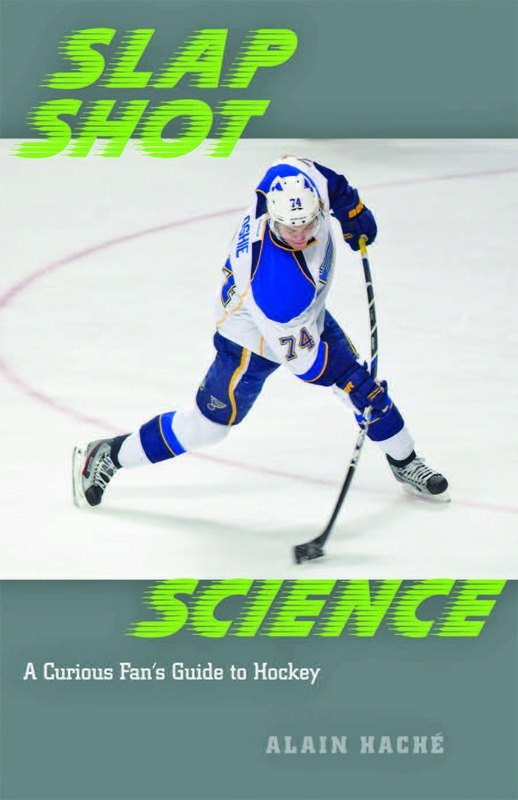 Slap Shot Science is an under-the-hood, behind-the-scenes, action-packed romp through special moments in the game as seen from the perspective of science and explained in a way everyone can understand. Summer Solstice here on the east coast occurred yesterday, June 21, at 12:39 p.m. To mark the official start of summer, we offer the following June excerpt from Bryan MacKay’s A Year across Maryland, his week-by-week guide to enjoying the natural world in JHUP’s home state. The summer solstice brings this diminutive and easily-overlooked woodland plant into flower. Despite its unassuming nature, enchanter’s nightshade competes favorably with other wildflowers for the title of most evocative name. 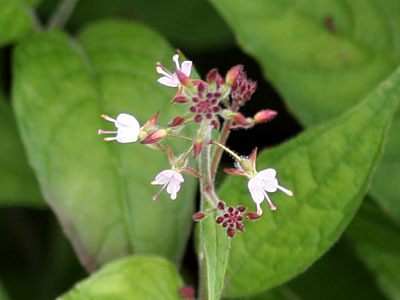 Enchanter’s nightshade is a member of the genus Circaea, named for the Greek goddess Circe. Circe was well known for her magical spells and potions. Supposedly, she used another species in this genus for such purposes, hence the word “enchanter’s.” The leaves of this species resemble leaves of the night shade family, providing the rest of its common name. It is not in the nightshade family, however, and to my knowledge has not been used as a medicine or food. Enchanter’s nightshade grows on the forest floor in rich, slightly damp, well-shaded soil. The white flowers are tiny, less than a quarter inch in diameter, and grow on spikes (racemes) that rise above the egg-shaped leaves. The flowers have only two petals, an unusual characteristic shared by only one other genus of native wildflowers, the spurges. It’s worth a close look, even though few hikers even notice this modest plant. Where to see enchanter’s nightshade this week: Because it is easily overlooked, few people know enchanter’s nightshade. Look for it trailside in places such as Patapsco Valley and Seneca Creek State Parks, Rock Creek Park, and Sugarloaf Mountain. The long days of late June ripen blueberries, and long distance hikers on the Appalachian Trail in Maryland appreciate this tasty supplement to their spartan diets. Blueberries are a common ground cover on sandy, nutrient-poor soils, whether they be on mountaintop ridges in the western part of the state or in pine-dominated forests on the coastal plain of the Eastern Shore. These are not the lush commercial berries you buy at the supermarket. Wild blueberries in this region are pea-sized and more tart than sweet. 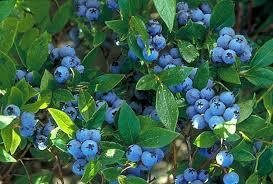 Where to find wild blueberries this week: Blueberries grow in many places in Maryland where there is dry soil. 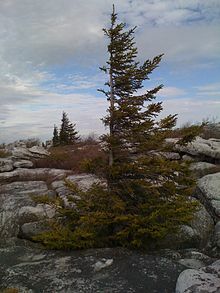 The Appalachian Trail has many miles of such ridgetop habitat. What is more magical than the glow of fireflies in the gloaming? Generations of kids have chased, captured, and observed these commonplace beetles and in the process become familiar, even enchanted, with the natural world. Fireflies don’t require wilderness. The suburban lawn seems to host very high densities of these animals with flashing lights on their abdomens. Although the first fireflies may appear by Memorial Day and persist well into July, late June seems to be the high point of their activity. 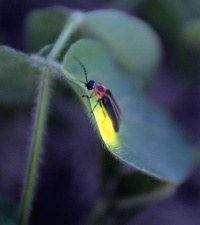 Where to see fireflies this week: Most suburban lawns host fireflies; you can even see some in grassy areas in cities. Densities seem greatest at the border between forest and lawn. No natural place in Maryland may be more chaotic, noisy, and smelly than a nesting colony of brown pelicans. 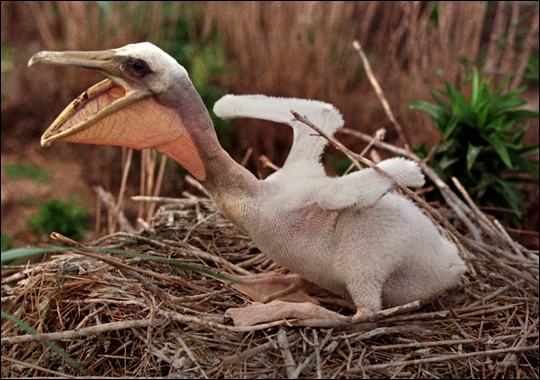 When adult birds arrive with fish to feed their young, the excited and raucous cries of these nestlings fill the air. Conditions in a colony are often crowded, and territorial squabbles are frequent. The smells of regurgitated fish, bird guano, and the occasional dead bird, all baking in the mid-summer sun, are pungent. A visit to a seabird nesting colony is a memorable experience. In the Chesapeake, our largest colonial nesting waterbird is the brown pelican. With a six-foot wingspan, few birds are more conspicuous and familiar to Maryland beachgoers. Most often seen as a line of birds cruising seemingly without effort just above the waves, these handsome birds are also notorious panhandlers dockside. Less often are pelicans seen feeding, but their headfirst plunge-dive into the ocean in search of fish is a dramatic sight. Brown pelicans are fairly new to Maryland. Their numbers in the United States were decimated by organochlorine pesticides in the 1960s; the species was once even extinct in Louisiana, where it was (and is) the state bird. After DDT was banned in the United States, brown pelicans made an amazingly rapid recovery, reaching historic levels by 2000. 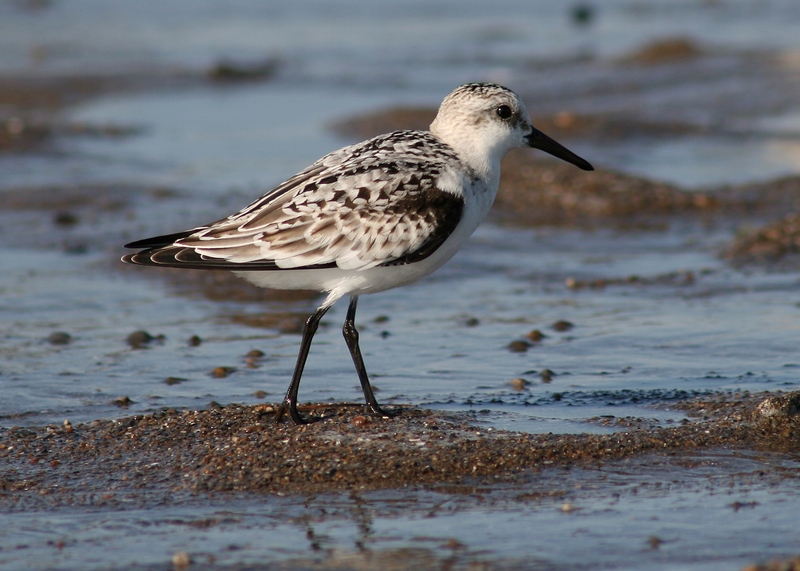 As the population grew, birds on the Atlantic coast expanded their range northward above North Carolina, nesting for the first time in Maryland waters in 1987. In 2010, about 2,500 brown pelican chicks were banded on Bay islands near the Virginia border. By late summer, pelicans are a common sight at Ocean City, Maryland, and are now seen as far north as New Jersey. Where to see nesting brown pelicans this week: While pelicans in flight and fishing in Maryland are easy to spot, nesting birds are found mostly on uninhabited islands in Chesapeake Bay. As of this writing, the largest colony is on Holland Island, but that will doubtless change, as Holland is being steadily eroded away. Nesting waterbirds are very susceptible to disturbance by humans, with very negative results, so observe the colonies with binoculars from a boat at least fifty feet offshore. Never go ashore; some birds would very likely die due to such an intrusion. 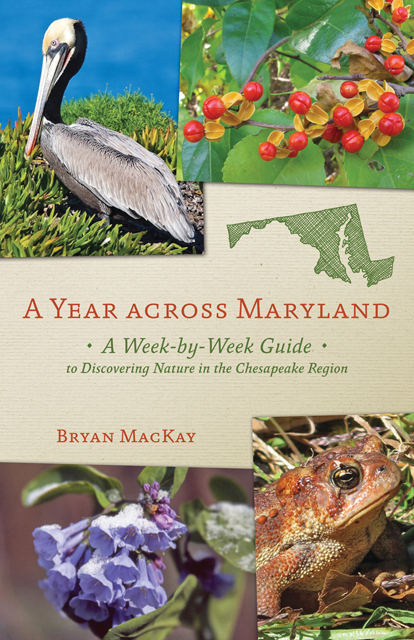 With a cautious nod to what seems to be (let’s hope) the arrival of Spring in Maryland, we offer the following April excerpt from Bryan MacKay’s A Year across Maryland, his week-by-week guide to enjoying the natural world in JHUP’s home state. Rockfish, that toothsome and combative gamefish, is now migrating down the Bay along the edges of the shipping channel, after spawning in the upper Bay and tributaries. Striped bass are anadromous fish: mature adults spend most of their time in the ocean but visit freshwater to spawn. About 70 to 90 percent of the entire Atlantic coastal striped bass spawn in Chesapeake Bay, especially in the upper tidal Potomac, the Choptank River, and the Susquehanna flats. The eggs and larvae are susceptible to certain environmental conditions and to pollution. Varying water temperatures cause significant mortality, as does acid rain runoff and trace concentrations of metal ions like aluminum, copper, and cadmium. Young rockfish spend the first three to seven years of their life in the Bay before entering the Atlantic, thereafter returning only to breed. This portion of the fishing season targets spawners returning to the ocean; younger fish must be released when caught. Striped bass can weigh up to 75 pounds; most fish over 30 pounds are female. Larger females are especially important to the survival of the species, as size correlates with egg production. Where to find rockfish: It is possible to catch rockfish from land at Point Lookout State Park and other sites directly on the Bay, but most striped bass are taken from a boat in deep water. For a listing of charter boats, see www.marylandcharterboats.com. For a useful weekly blog about what’s being caught where in Chesapeake Bay, see www.dnr.state.md.us/fisheries/fishingreport/log.asp. The month of April brings the extensive flowering of this invasive non-native plant in alluvial floodplains and suburban lawns. Indeed, just before trees leaf out, lesser celandine seems to be everywhere, choking out native herbaceous vegetation, including the native wildflowers of April like spring beauty, bluebells, and bloodroot. Lesser celandine has kidney-shaped, thumbnail-sized shiny green leaves and brilliant, shiny, yellow flowers. Emerging from many small bulbs, lesser celandine is almost impossible to eradicate. 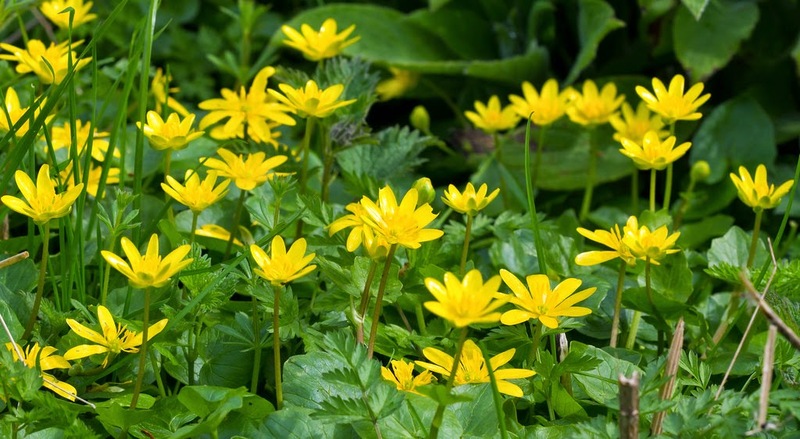 Only the fact that the leaves are above ground for only about two months, emerging in March and dying back by mid-May, keeps lesser celandine from being considered our most troublesome invasive plant. Where to see lesser celandine: Unfortunately, lesser celandine is extremely common, even ubiquitous, on the floodplain next to almost every river and stream in central Maryland. It is especially troublesome in Patapsco Valley, Gunpowder Falls, Susquehanna, and Seneca Creek State Parks and in Rock Creek Park and along the C&O Canal towpath. 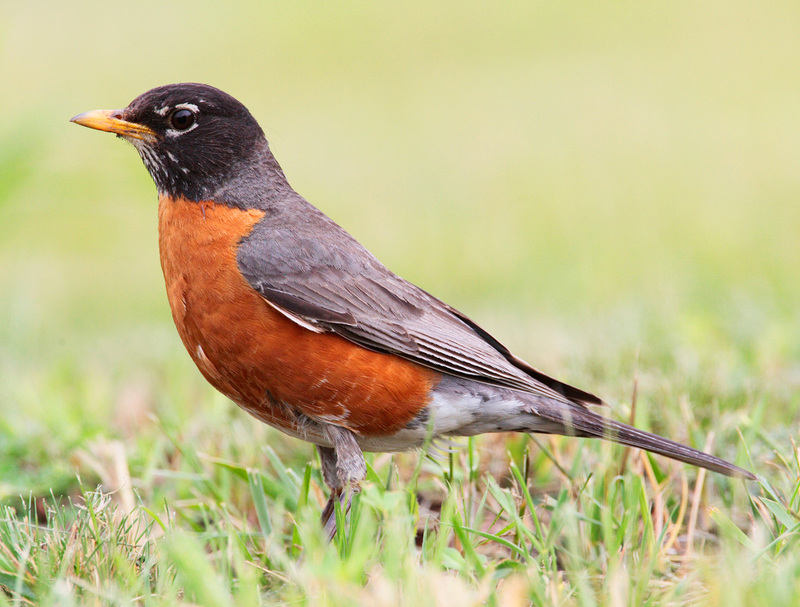 Perhaps the ultimate bird of the suburbs, robins have adapted completely to humans and their developed landscapes. Robins will begin constructing nests as soon as the trees leaf out, and by mid-April, male robins are staking out their territories, singing to attract a mate, and chasing each other. Dusk seems to bring the most activity, and their alarm calls and song in the gloaming is a favorite sound of spring. Where to see American robins: Listen for the calls of robins at dusk anywhere and everywhere in Maryland. The only places in Maryland where robins do not nest is on some small islands in Chesapeake Bay and possibly on Assateague Island. 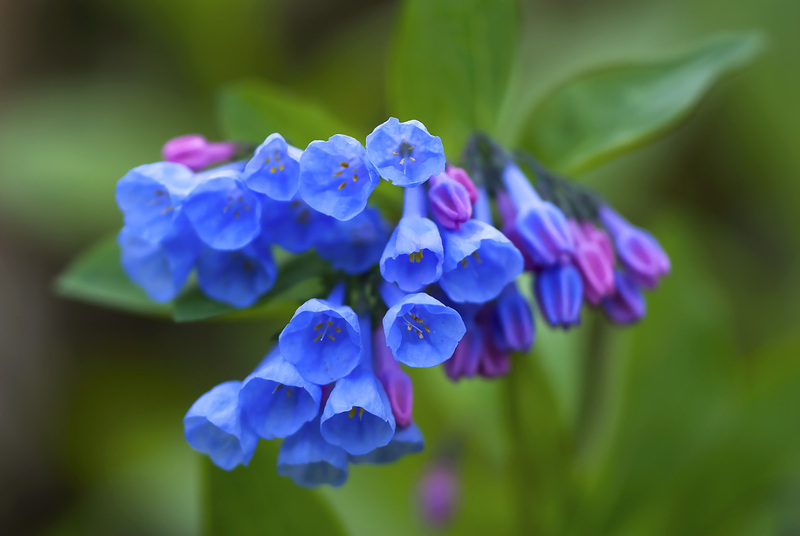 Wildflower enthusiasts may argue over what is our loveliest spring bloom, but certainly one finalist is Virginia bluebells. A plant common to alluvial floodplains, bluebells carpet the forest floor as far as the eye can see in some locations. Sky-blue trumpet-or bell-shaped flowers occur in hanging clusters above light green, fleshy leaves. Bluebells are pollinated by bees and butterflies. The flower buds are a gorgeous shade of pink, converting to blue upon full expansion. Albino flowers seem to occur in most populations. Virginia bluebells have a short season, blooming for only about two weeks in mid-April. Interestingly, while the flower is abundant in the floodplains of some Maryland rivers, such as the Potomac, Susquehanna, and Patuxent, it is missing entirely from others, like the Patapsco. Virginia bluebells form natural gardens covering many acres of alluvial floodplains at several locations in central Maryland. Where to find Virginia bluebells: Extensive stands of bluebells occur at Susquehanna State Park, along the C&O Canal towpath, at Patuxent Research Refuge (North Tract), and at Bull Run Regional Park (Virginia). The JHU Press has a beautiful selection of books on the natural world, from the amazing new edition of Ducks, Geese, and Swans of North America, to our popular Animal Answer Guide series, to family-friendly guide books, to handsomely illustrated volumes on owls, polar bears, and mountain gorillas. Read more or place an order by clicking on the titles below. To receive a 30% discount on all books featured in this blog post, enter code HDPD at checkout or mention this code when calling in your order at 1-800-537-5487. Happy holidays from JHUP! illustrated by Mark A. Klingler, photographs by Robert E. Mumford, Jr.